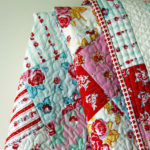 Perfect quilts can be glorious, beautiful, resplendent and breathtaking. However, perfect quilts aren’t always what they seem to be. You may be surprised to know that all quilts can have imperfections, and at some stage, most quilts have given the quilt maker a certain amount of grief. Despite this, quilts continue to be made. Why? Because with experience, we learn to relish the challenges and the frustrations. We learn to accept it’s all part of the fun of making quilts. 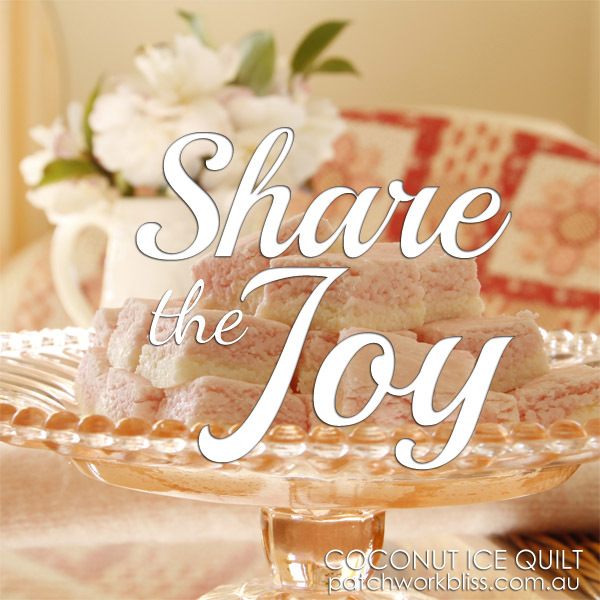 Sadly, the enjoyment of these challenges isn’t always apparent to new quilters. Innocent quilters can pressure themselves with unnecessary stress and heartbreak because they’re trying too hard to make perfect quilts right from the start. Although doing your best is always a good thing, it’s time to lighten up. If you find yourself feeling anxious because you’re aiming for perfection, here are some simple things you can do. Aim to make the best quilt you can considering your experience and your circumstances. Start with baby steps until you learn to run. Think about starting small and work your way up as you gain skills. Of course, small quilts won’t suit everyone. 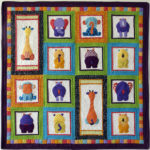 If you have set your heart on making a large quilt, choose a design with large pieces and simple shapes like Gypsy Garden. 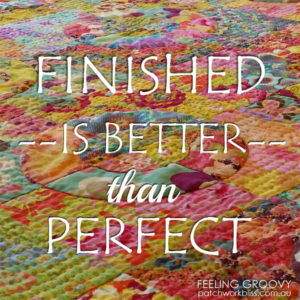 Quilting should be fun, so relax and enjoy the process. There is much to enjoy, and yes mistakes happen, however a mistake is usually a great reason to change a design element and could make a more exciting and unique quilt. Often this is where the magic happens. Also remember, if all else fails, you can always make another quilt! 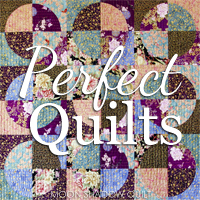 We have a fabulous selection of quilt patterns for you to download so you can make the next quilt, the one after that and the one after that as well. However be warned, once you start there may be no stopping. Don’t be discouraged by the success of others by comparing your quilt to anyone else’s. Rejoice in their achievements and in yours. Remember, there could be someone looking at your quilt with admiration and delight. Truly, your quilt could be just the inspiration someone needs. 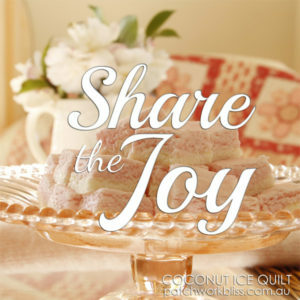 Share the joy. These days we are overloaded with information. We can see tutorials online, join a group or a class. There is no end to the help and advice that is available, so it’s no surprise if become confused and overwhelmed. Listen, learn and observe, then pick and choose what suits you. Rules are made to be broken. Go mad – break some rules today. If someone is kind enough to pay your quilt a compliment, simply say thank you. If you must say something else, you could add that you enjoyed making it, or that you’re pleased with how it turned out. Most of us can’t resist the temptation to apologize for our quilt’s imperfections. We’ve all done it. So many of us find it so difficult to accept any praise that we rush in to negate the compliment by pointing out our perceived flaws. Put a stop to the Quilter’s Confession today by saying the oath with me now. I, (insert your name here) do solemnly swear to stop confessing my flaws by pointing out wonky stitches, dodgy points and to stop telling people to not look too closely. 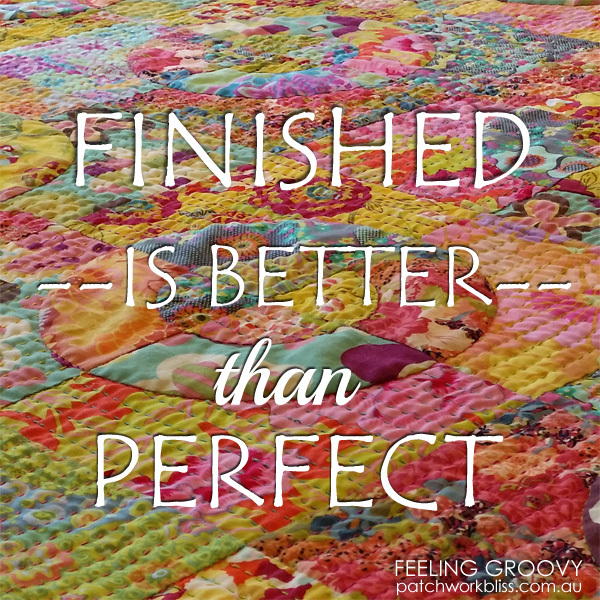 Remember, there are no perfect quilters and no quilt is perfect. Each of us has the power within us to create something wonderful. Many of our quilts will be prize winners and many will inspire others, but mostly our beloved quilts will bring joy to a loved one, or perhaps comfort someone we will never meet. Whatever quilts you make, make them with love in your heart and they will be as perfect as can be. Don’t let fear of not being perfect stop you. Keep sewing!